As researchers who are primarily concerned with the welfare and experiences of all students at historically Black colleges and universities (HBCUs), we are excited to see that more research is focusing on Black and non-Black students at these venerable institutions. While this is particularly noteworthy, we have to be mindful to be attentive to the intersecting identities of students at HBCUs. For example, some research has done this by calling attention to the experiences of lesbian, gay, bisexual, and transgender (LGBT) students at HBCUs; however, a dearth of research has explored the experiences and need of students with disabilities at HBCUs. Indeed, a recent search for articles, reports, and briefs on students with disabilities at HBCUs has resulted in little, if any, information being found on these students. While it is difficult to know the number of students with disabilities attending institutions of higher education in general and HBCUs specifically, what is clear is that more students today are entering higher education with disabilities. Specifically, Section 504 of the Rehabilitation Act of 1973 and Americans with Disabilities Amendment Act of 2008 (ADA) have contributed to the increase in the number of individuals with disabilities who are enrolled in higher education. These federal laws contain multiple provisions that outline the responsibility of college officials receiving federal funds to provide reasonable accommodations to individuals who meet the eligibility of having a disability. For example, results of the National Longitudinal Transition Study-2 (NLTS-2, 2010) indicate there was a 12 percent increase in Black and a 10 percent increase in White college students with disabilities enrolled in four-year institutions. While the enrollment of Black students with disabilities has increased in recent years, the college graduation rate of Black students with disabilities remains only half of that of their White counterparts. There is evidence that the academic challenges and establishing effective social supports impact the academic performance of students with disabilities at HBCUs and beyond. Faculty members and universities must understand how the intersection of race/ethnicity and disabilities may intersect to manifest themselves in a variety of ways. In some cases, disabilities are visible, while other disabilities are invisible. While an orthopedic impairment may be noticeable upon meeting a student, a minor visual impairment may not be as noticeable. Another example would be the growing number of African-American college students with identified learning disabilities. Despite the ethnic background of the students with disabilities, extensive research indicates that students with learning disabilities report having difficulty with reading, writing, spelling, and auditory comprehension. College students with learning disabilities may also exhibit difficulty with executive functioning, which can impact organization, time management, and attention to detail in an assignment. The impact of a learning disability on the student is further complicated by its intrinsic neurological nature, which often causes the disability to remain an “invisible disability” that is hidden from university faculty members. Faculty members often doubt the validity of the disability and may withhold mandated academic accommodations. These academic challenges are compounded when one considers that Black students with disabilities are members of two historically marginalized groups, thus may experience additional challenges when navigating the college experience. There is reason to believe that HBCUs may offer the appropriate balance of academic rigor and social support required to assist Black students with disabilities in matriculating toward postsecondary success. While HBCUs pride themselves in cultivating a nurturing environment for all students, there is the need to ensure that methodological instruction is also inclusive of all learners. To this extent, HBCU student affairs practitioners and faculty can better support African-American students with disabilities by utilizing components of Universal Design for Learning (UDL) as a method for accommodating students with disabilities. UDL is made up of a set of principles that guide the design of inclusive classroom instruction through the flexible delivery of content and the incorporation of accessible materials. According to the Center for Applied Special Technology (2011), UDL’s three principles are: 1) multiple methods of representation that gives learners a variety of ways to acquire information and build knowledge; 2) multiple means of student action and expression that provide learners alternatives for demonstrating what they learned; and 3) multiple modes of student engagement that tap into learners’ interest, challenge them appropriately, and motivate them to learn. Although UDL is geared toward supporting students with disabilities, the reasonable accommodations offered by this design benefit all students. 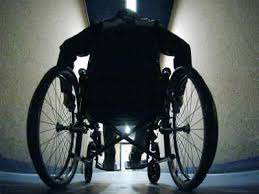 For example, while having a door that opens automatically based on movement is an accommodation primarily for persons with orthopedic disabilities, the door is also accessible and used by all persons. In much the same way offering instruction that is represented through visual, auditory, and kinesthetic instructional approaches is consistent with principles of culturally sustaining pedagogy; these approaches also align with those of UDL. As a result, application of UDL increases the probability of success for students with disabilities who may be dependent upon differing modes of instruction delivery. For many students with disabilities, navigating a complicated college campus environment for the first time with considerably less support and directives than they were accustomed to in high school can be challenging. UDL is a teaching and learning tool that HBCUs can explore to reassure all students that learning is a legally mandated right that is guaranteed through the ADA 2008, not a luxury afforded to those with able-bodies. In order for UDL to be implemented with fidelity, HBCUs must be committed to offering professional development opportunities for faculty and student affairs staff, which includes a provision of continuous disability education and safe space practices geared toward students with disabilities. Furthermore, it is critical that members of the HBCU community understand the nuances of UDL, section 504 accommodations, ADA legislation, and be equipped with knowledge that is necessary to provide a quality education and welcoming environment for all students; however, particularly students of color. Dr. Joy Banks is an associate professor, Dr. Antonio L. Ellis is an adjunct professor and Dr. Robert Palmer is an adjunct professor in the Howard University School of Education.